Today, I have the pleasure of introducing you to an author I wasn't familiar with, Joanna Challis. 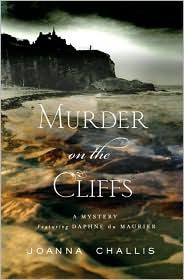 Joanna is the author of the first book in a new series, Murder on the Cliffs. She introduces a young Daphne du Maurier as the sleuth in her books. And, as a reader who loved gothic romances, it's fun to see her new book. Lesa - Congratulations, Joanna, on the publication of the first book in a new mystery series. Before we discuss Murder on the Cliffs, would you tell us about yourself? 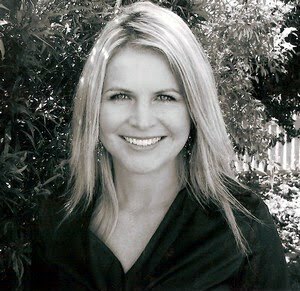 Joanna - I am an Australian of Welsh origin who loves reading, writing and travel. I live in a Queenslander style home in Brisbane near the sea with colonial verandahs and an English garden and at present I am building my first library. Lesa - Murder on the Cliffs turns an author into an amateur sleuth. Would you summarize the book, without spoilers? Lesa - How did you decide to use Daphne du Maurier as your sleuth? Joanna - My agent came up with the idea. We worked together to find a story to match my voice which has its roots in the traditional gothic sense – like Jane Eyre and Rebecca and writer Victoria Holt. Lesa - What difficulties did you face in turning a real person into your sleuth? Joanna - I knew a certain amount of criticism would be leveled at me using Daphne du Maurier. However, upon reading her autobiography Myself When Young – The Shaping of a Writer, I found a kindred spirit. She loved all the same things I did and I felt a connection to her. I think if she were alive today, she would be amused to be fictionalized into the classic romantic heroine. So she was born as the heroine of this series and we will chart her progress up to the publication of her first novel and marriage to her dashing real life husband, Major Browning, who features as the hero of the books. Lesa - What do you love about gothic novels? Joanna - I grew up reading Victoria Holt, Daphne du Maurier, Jane Austen, the Brontes, Mary Stewart, Phyllis Whitney and just loved those books. I still do! I think because they capture three elements I enjoy: history/setting, mystery and romance. I also like the writing style of first person because it is like picking up and reading one’s secret diary. Lesa - Was it difficult to turn your dream of being a writer into reality? How did you go about it? Joanna - It is a difficult journey. But it’s nice to know persistence does pay off. I remember at my first Romance Writers Convention ten years ago (I was barely 20) nervously trying to convince an editor of this kind of book’s marketability. The novel I had at the time SILVERTHORN was rejected by every publisher in town (all unwilling to take a gamble on the classic gothic genre). Instead, a tiny e publisher out there picked it up and SILVERTHORN became a ROMANTIC BOOK OF THE YEAR FINALIST in Australia in 2004 (chosen by readers). This and other professional reviews gave me the confidence to keep going with my dream and to continue writing what I loved. Finding my agent proved the next lucky stroke and through her we found a home for the Daphne du Maurier mystery series, a very nice home with St Martin’s Press, NY. They are lovely dedicated people there who love books and work tirelessly to produce great stories for us to read. Lesa - Joanna, can you tell us what you’re working on for your next book? Joanna - I certainly can. PERIL AT SOMNER HOUSE is the next mystery for Daphne to solve – it is set on the Isles of Scilly (islands off Cornwall, England) and is a winter house party murder theme. I suspect PERIL will be released sometime next year (2010) and I am currently writing the third book in the series where we will see Daphne’s romance progress with Major Browning amidst mayhem and murder on the Almafi coast, Italy. Lesa - Is there anything else you would like to tell readers? Joanna - Please buy the book! As a lover of the old classics like many readers out there, we rely on your support and hope such support will bring gothic romance back to the forefront of popularity. Lesa - I always end my interviews with the same question, since I’m a public librarian. But, I don’t know enough about libraries in Queensland to know if this is an appropriate question. I always ask if you have a story to tell us about libraries and librarians. If you don’t, can you tell us a little about libraries in Australia? Thank you, Joanna, for taking time for this interview. Lesa - Thank you, Joanna, for taking time to answer questions, and give my readers the chance to "meet" you. Good luck with Murder on the Cliffs. Murder on the Cliffs by Joanna Challis. St. Martin's Press, ©2009. ISBN 9780312367145 (hardcover), 304p. I love the plot idea and your protagonist, Joanna. Really interesting. I grew up reading Gothic novels too, and would love to have more of them out there. Another wonderful interview, Lesa! I think the concept of Daphne DuMaurier as a young sleuth is fabulous and I will definitely check this book out in the near future (provided, of course, I don't win her giveaway). Thanks for writing to Joanna, Elizabeth. I'm not sure if she'll be stopping by today or not. I'm wishing her good luck. Like you, I grew up reading gothic novels, and wish her the best. Thank you, Molly. I think this is an amateur sleuth that will work. Good luck in winning the contest! What a great interview & interesting concept. I really want to read this book now! Great interview -- I'm really excited about starting a new series! The protagonist sounds perfect. Thanks for sharing another great author and book, Lesa. It sounds like an interesting story. This one will go on my BTR list. Thanks, Buckeye Girl. I hope you enjoy it! I hope you enjoy it, Itsamystery! It's an interesting premise. You're welcome! I have an ARC of it, and have to get to it shortly. I think it looks good, too. I'm afraid I can't help. When I do author interviews, they're usually through the publicist, and I never even have the author's contact info. I'm sorry!